Sharon Sherriff Bsc (Hons), RGN, Independent Prescriber and Aesthetic Practitioner. Sharon is a highly qualified professional with over 27 years of nursing experience. We currently have appointments available for aesthetic treatments on Saturday 4th May, appointments are strictly limited and is based on first come first serve basis. 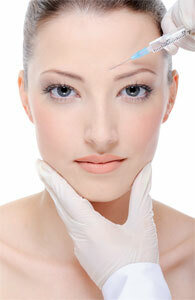 Also, we are now offering Azzalure Wrinkle Relaxing treatment at £199 (was £330). Please contact a member of the Cascades team on 015395 31133 for details and booking information. ‹ Mothers day at the beautiful Whitewater Hotel, Spa and Leisure Club.